Authentic Caribbean dishes made just like mom and grandma! 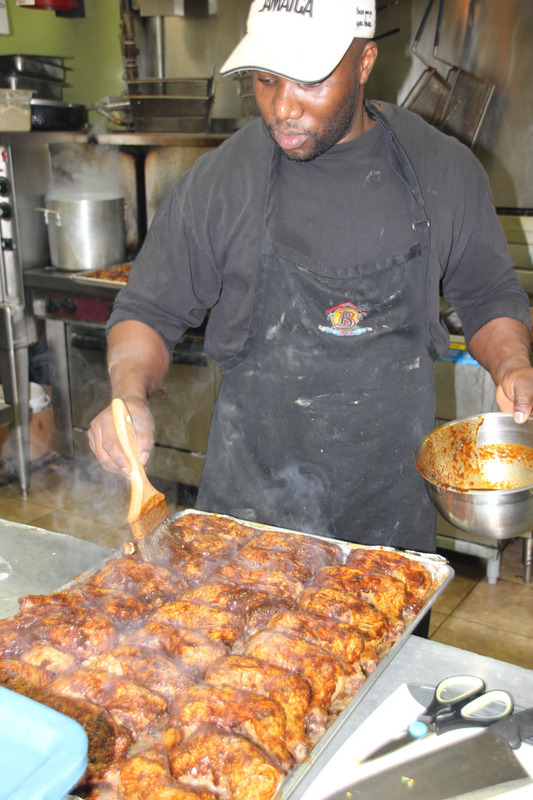 Located in the heart of East Brampton (50 Sunnyvale Gate #14), Baker’s Jerk House has been operating for the past 8 years. This famous restaurant boasts a variety of delicious Caribbean dishes including oxtail, curried goat/chicken, steamed fish, hot soups and its renowned jerk dishes. Baker’s Jerk House is also listed on www.urbanspoon.com as the top Caribbean restaurant in Brampton; and this is no surprise; the succulent flavour of its famous Jerk Chicken comes from a secret recipe that has been past down in the restaurant owner’s family for generations. Whether you interested in Catering an event, dining in, or ordering take out, Baker’s Jerk will surpass your expectations.